Your state determines how you should register a scooter or moped – and even whether you have to register it. Most states require owners to register any scooter, moped, or motorized bike with a 50cc or larger engine. Keep in mind this is on a general rule of thumb. Some states, like California, require residents to register every type of scooter and moped, except a motorized bike with pedals (as long as the motor is electric and no more than 1,000 watts). Gather up your bike’s specs and give your local DMV or motor vehicle registration agency a call to find out for sure. Overall, scooter, and moped registration will mimic motorcycle registration. If you purchased your bike from a dealership, the dealer will handle the paperwork for you. A completed registration application. You might have to use the same application the state provides for car or motorcycle registration. The properly signed title. Typically, the registration process includes a title transfer. Proof of passing a safety and/or emissions inspection. An odometer disclosure statement. Space for this might be on the title. Proof of identification, date of birth, your Social Security number, and residency. Proof you’ve paid all the sales tax; that the bike is sales tax exempt; or of the purchase price so the clerk can calculate the tax (your bill of sale comes in handy here, too). The applicable title and registration fee. Again, all requirements – especially the fees – vary by state, so check your state's specific requirements for scooter and moped registration. 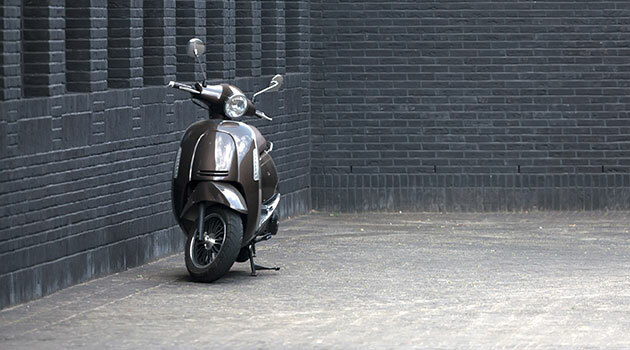 Do you own a scooter or moped? What kinds of registration requirements did your state issue?